A drink-driver was caught around midnight after police thought he might be speeding, a court heard. Jevgenijs Mikulovs (37) blew 52 microgrammes of alcohol in 100 millilitres of breath after he was stopped in Finsley Gate, Burnley. The legal limit is 35. The town's magistrates were told how Mikulovs cooperated with officers and when asked if he had been driving, accepted he had. 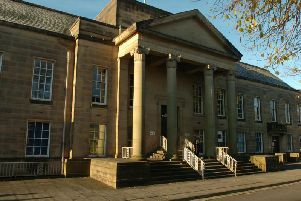 The hearing was told the shift worker, who earns £800-a-month, had similar previous convictions, but more than 10 years ago, meaning he wasn't facing a mandatory three year ban. Mrs Alex Mann, prosecuting, said police stopped the defendant at about midnight. She continued: "I think he might have been going a little bit too fast, but there was nothing else wrong with his driving. There were no passengers." Mikulovs, of Barclay Avenue, Burnley, admitted driving with excess alcohol, on March 9th. He was fined £200, with a £85 costs and a £30 victim surcharge and was banned for a year.